The following mowing, flowering, watering, and other tips are helpful throughout the lawn season which begins April 1st and ends November 15th. Do not water the night before or on mowing day. 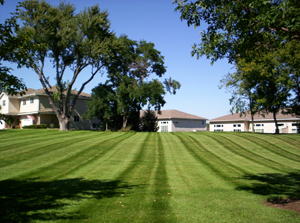 Mowing is performed a specific number of times throughout the season. Occasionally, mowing of certain areas or the entire property will be skipped due to minimal growth or drought conditions. If it rains on the scheduled mowing day, mowing will be rescheduled. Do not plant flowers around trees. Flowers require more water than trees. Do not plant flowers too close to the edge of plant beds. 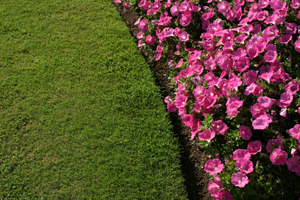 Flowers may be damaged during routine mowing operations. Water new seed/sod daily to keep the roots moist until it is established. Water newly transplanted trees and shrubs by placing the hose on the soil line next to the trunk at a slow trickle. A crew other than the mowing crew may perform pruning, edging, weeding, and cultivation. Spring cleanup is performed in April or May, depending on the weather. Fall cleanup is performed in October and November. will be seeded. Please water new seed until established. and flexible schedules for part-time, seasonal, and yearly agreements. 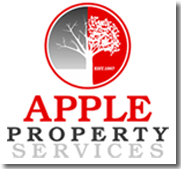 Apple Property Service is licensed in pesticide application and a member of MNLA.